If you use social media for your business, you probably already know that the most important thing to make your social media strategy succeed is good content. Funny, relevant, timely, inspiring, what you post about will vary depending on your audience but most of the elements mentioned work for most audiences. What happens though when you are run off your feet, clients on the phone, web sites to build, accounts to send, orders to process… If you are like most of us, trying to think of new content that might hit the mark for your audience falls to the bottom of the list. That is where Google Alerts come in. Google Alerts monitor the web for interesting new content for you. You just have to tell them what you want them to look for. 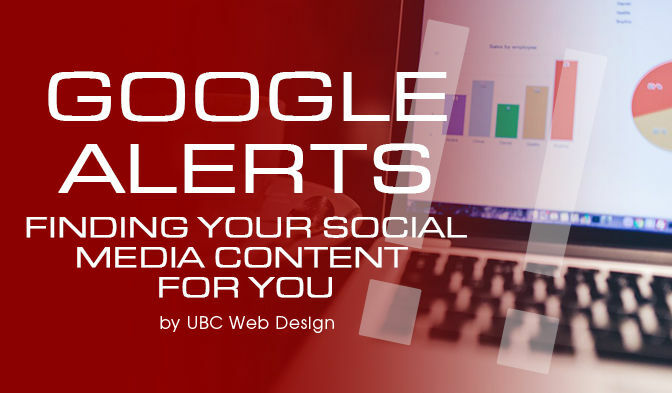 Google Alerts send you an email when it finds new results – these can include new content on a website, newspaper articles, blogs, or scientific research that match your search term(s). You can edit the alert to send an email daily or more often, you can change the region to meet your needs, some users will want to know the latest on their item of interest anywhere in the world, and for others that will mean a whole lot of irrelevant information to wade through. They can then change the alert to Australia. We did this and were immediately presented with a list of 15 current and relevant articles. The following is a sample of article topics, all of which could be used by a business whose audience is interested in flowers and nurseries and are likely to like, share and comment on the article. Click on the article within Google Alerts and you will be taken to the original article. Write a short introduction to the article, for example, Bees are essential for pollination in our gardens, this article identifies the flowers you could include in your garden design to attract bees. Little time required to think up what to write, an article pretty much certain to appeal to your audience and a bank of others for next time.